Joni fullfilled his long time dream and bought Hammond A101 (year 1961) and Leslie 122 speakercabinet. That was late 2002. When they arrived few people came by and listened that unbelivable sound of organs. Those guys ( Joni, Tero, Jamppa & Eppu ) meet again in january 2003 and founded band that is now know as The Mieli Sairaala. Making our own songs and albums was not the original idea but just relaxing and playing for fun was the motto. The Mieli Sairaala (The Favorite Hospital) has grown to a real band with its own music. 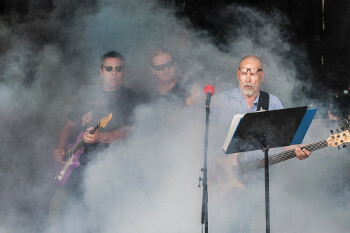 Everyone in the band loves Blues and that can be heard from our songs. 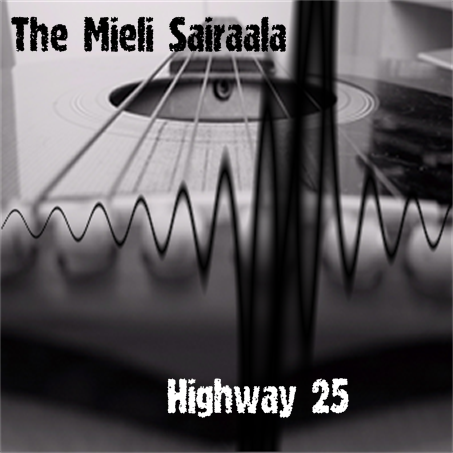 The Mieli Sairaala sound is a flashback from the 60's and 70's rock with real tonewheel Hammond organ and vintage tube amplifier guitar sounds. The Mieli Sairaala love's to play live though the band does not want to do too many gigs during the year. Most of the gigs are made for having fun with friends and fans, not for money ! There has been three female singer candidates ( Sanna 1, Sanna 2 and Amalia ) in the band between years 2003 and 2005. The band since decided to continue without female singers, and all vocals are done by Tero and Patrick on the first two albums. Patrick Houbaux ( Guitars, Vocals and Songwriting ) joined the band in early 2004 and left the band in October 2005. Today Patrick lives with his family near Paris in France. Juha Laine ( Guitars ) joined the band in October 2005. Janne Jokelainen replaced Juha Laine in 2014. 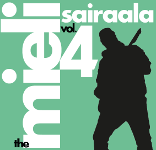 The fourth album called "Vol.4" was released in May 2014 and is downloadable from our web-pages. The third album called "ROKC" was released in July 2008 and is available for sales. 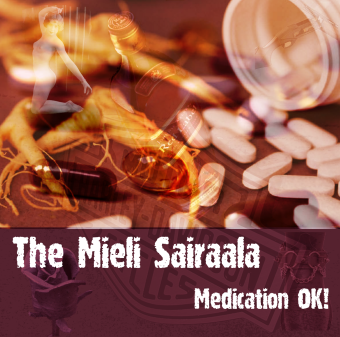 The second albun called "Medication OK" was relased in August 2005 and is available for sales. The first album, "Highway 25" is sold out ! If you want to order "Medication OK!" 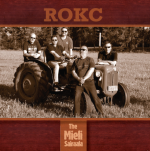 or "ROKC" album, send email to tms (at) themielisairaala.net ! Price of one album is 10€ plus postal fees. For more information contact the band at tms (at) themielisairaala.net. August 2006 - May 2008. Mastered by: Joni Bäcklund, Jokirinne Digital Studio , May 2008. Special guest stars in song 13 Man In Garage : Kimmo "Kimmond" Kujansuu - Violins and Ilkka Saari - Tuba. Peräkorpi, Rajamäki, Finland. April-May 2004. "Highway 25" album is sold out. If you want to order "Medication OK!" or "ROKC" album, just send email to tms (at) themielisairaala.net !. Price of the album is 10€ plus postal fees. Noose In My Neck video, 5:19, May 2015. Directed Leo Suvensalmi. 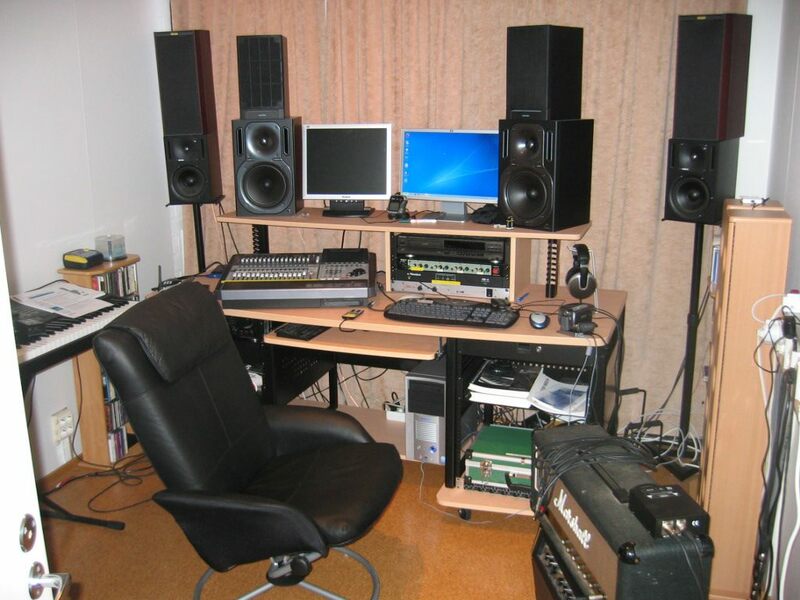 All audio and video files in this page are copyrighted © 2004-2015, UPU Kustannus, ALL RIGHTS RESERVED.